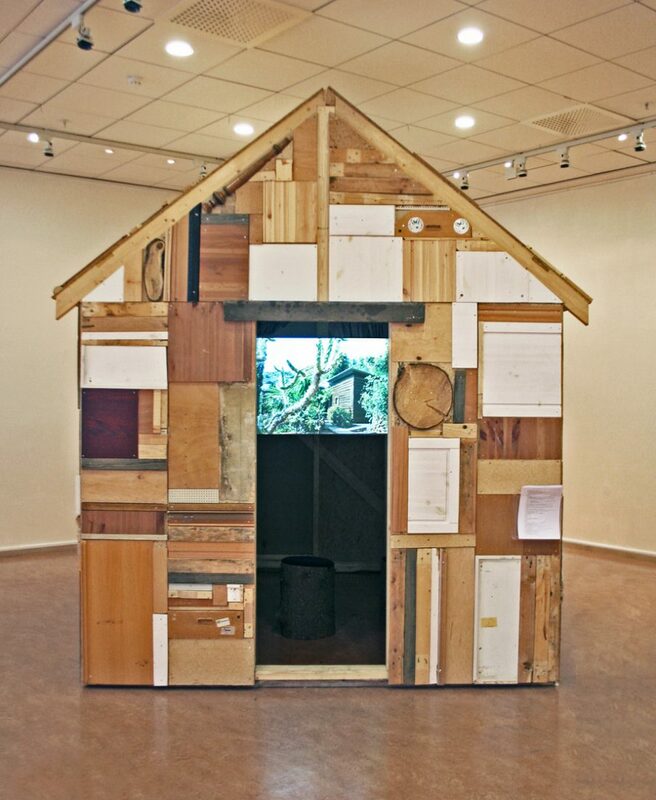 Hytteliv (Cabin life) (2011) was an installation consisting of a 7m2 cabin built with found material gathered around the campuses of the University of Oslo. Inside the cabin, its story is narrated in the form of a video. 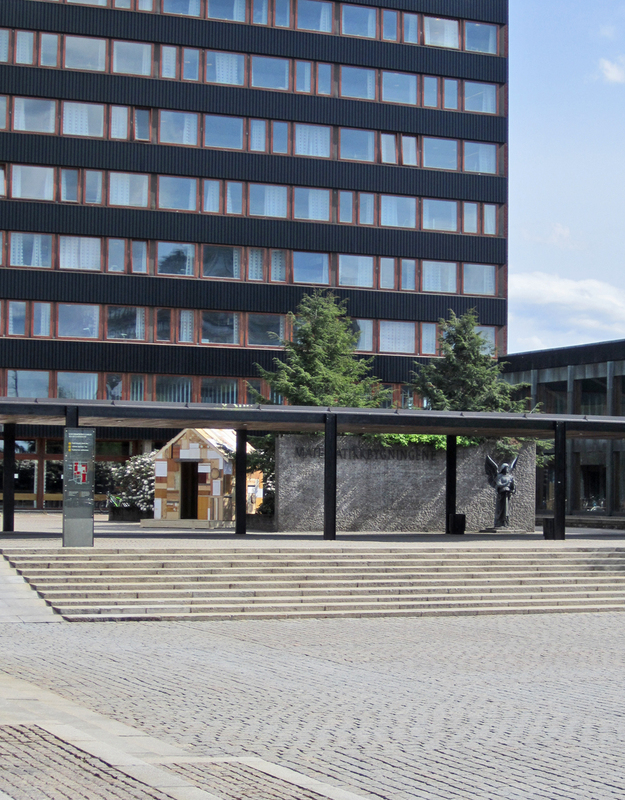 The project was commissioned as part of a festival and an exhibition (‘History Forms my Revolution’) in connection with the 200 years anniversary of the University of Oslo. The narrator and first person is an elderly woman who never really identifies herself, but appears to have built the cabin by collecting its pieces meticulously, treating every piece as an artifact or a piece to a puzzle. The story hints towards her biography, but first and foremost “Hytteliv” is about the idea of the cabin and what constitutes its image. Drawing on references ranging from cultural, historical, mythological to political the video consists of material collected from a range of sources; Tv, amateur footage, films, books, documentaries, Internet. The voice-over is composed of fragments from literary texts mixed with personal comments. Footnotes to the video are available as a handout.